It was one of those rare days during the monsoon season here in North India. After rains since morning, suddenly winds sweeps the dark clouds away but white beautiful huge clouds of bizarre shapes hang in the azure skies. Everything is washed clean in the skies. It is evening time. The sun light sparkles the clouds. 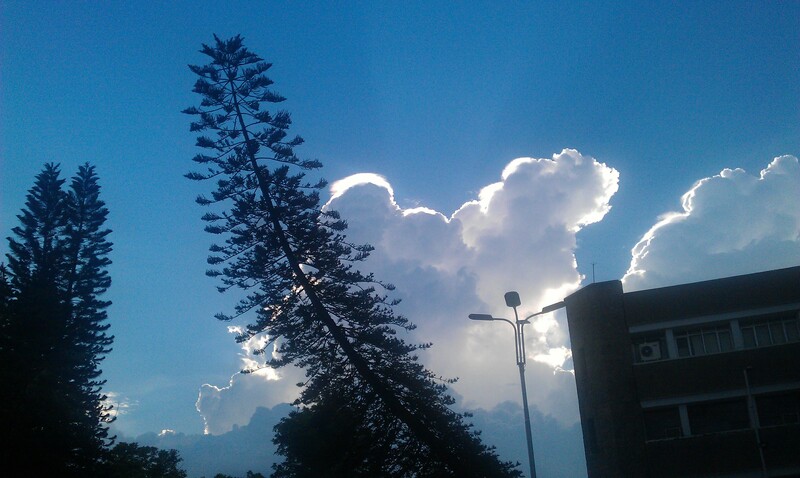 Took this picture with my HTC Desire HD camera. The trees and building are not focused upon because focus is the clouds.